Back by popular demand... last night was our second annual "Beat the Heat" event with Liz and Brian, our publisher reps from Random House and Penguin (and two of our favorite people in the universe). Thank you to everyone who absolutely packed the bookstore and listened in as Liz and Brian shared some of their favorite new and upcoming reads. We think we have a tradition on our hands! 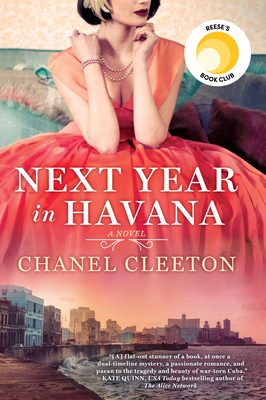 You get the grandmother’s childhood in Cuba in 1958, and you get the granddaughter in present-day Miami. And it’s not totally away from [Cleeton's previous] bodice-ripper stuff! She’s fun. She’s one to watch. Synopsis: In 1945, just after World War II, fourteen-year-old Nathaniel and his older sister Rachel stay behind in London when their parents move to Singapore, leaving them in the care of a mysterious figure named The Moth. This is my bodice-ripper pick. It’s on the long-list for the Man Booker Prize. It’s absolutely outstanding. It’s a bit Dickensian, but set in World War II. Synopsis: Ellis and Michael are twelve-year-old boys when they first become friends. One day, this closest of friendships grows into something more. But then we fast-forward a decade or so, to find that Ellis is married to Annie, and Michael is nowhere in sight. Which leads to the question: What happened? Both physically and intellectually, it’s a beautiful book. It’s a book about all the people you’ve known in your life who maybe aren’t in your life now… but they fill your life still. And Alice liked it. 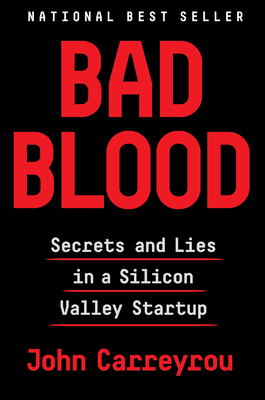 Synopsis: The full inside story of the breathtaking rise and shocking collapse of Theranos, the multibillion-dollar biotech startup, by the prize-winning journalist who first broke the story and pursued it to the end, despite pressure from its charismatic CEO and threats by her lawyers. This is insane. It’s a true story—think The Big Short. This thing reads like a pants-on-fire page-turner. You’re always thinking, ‘Can this get any worse?’ And it does! I devoured this. 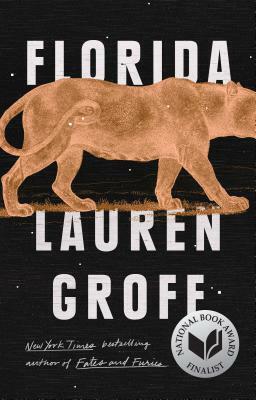 Synopsis: The stories in this collection span characters, towns, decades, even centuries, but Florida—its landscape, climate, history, and state of mind—becomes its gravitational center: an energy, a mood, as much as a place of residence. As a publisher, it’s sometimes hard to sell short stories. So Riverhead just didn’t put anywhere on here that these are short stories! This is a beautiful book. It deserves to be read as a whole and as one piece. Synopsis: The story of twelve unforgettable characters, Urban Indians living in Oakland, California, who converge and collide on one fateful day. 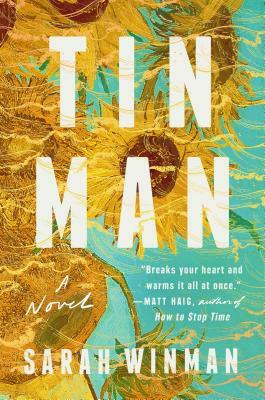 It's "the year's most galvanizing debut novel" (Entertainment Weekly). This is my favorite book of the year. 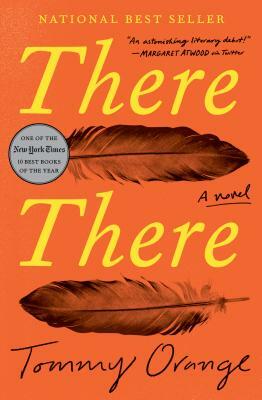 It’s a debut novel about urban Native Americans in Oakland, which is a community that hasn’t really been written about before. It’s a swirling tapestry of 12 characters, all interconnected, moving towards and converging at the pow-wow. The writing is stupendous. Synopsis: A dazzling new novel of friendship and redemption in the face of tragedy and loss set in 1980s Chicago and contemporary Paris. It’s a historical novel… set in the far-off 1980s. It’s set in Chicago during the AIDS epidemic. 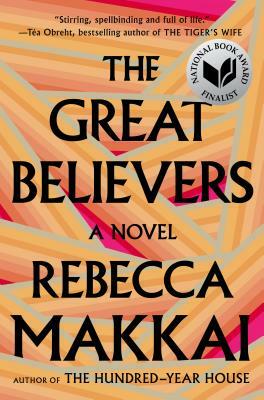 Rebecca Makkai takes you on such a journey. It’s a great book. Synopsis: A novel about one young woman's efforts to duck the ills of the world by embarking on an extended hibernation with the help of one of the worst psychiatrists in the annals of literature and the battery of medicines she prescribes. Independent booksellers gave it their stamp of approval, and I agree with them. You know George Saunders? How he wrote all these weird books, then wrote Tenth of December, and everyone bought it? 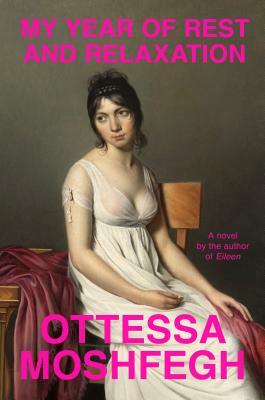 I really think that this is going to be like Tenth of December for Ottessa Moshfegh. It’s a strange, strange, strange book. She’s a great writer, and I think she’s going to be an important voice. Synopsis: Willa Drake can count on one hand the defining moments of her life. Then, one day, Willa receives a startling phone call from a stranger. Without fully understanding why, she flies across the country to Baltimore to look after a young woman she's never met, her nine-year-old daughter, and their dog, Airplane. 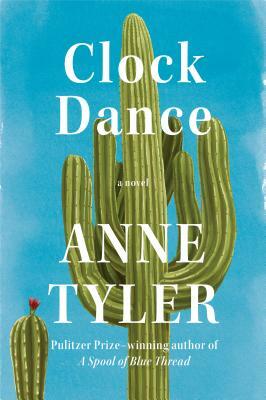 It’s one of Anne Tyler’s strongest books in a while. It’s a lovely book, and anyone can read it. Synopsis: The 1950s vintage ocean liner Queen Isabella is making her final voyage before heading to the scrapyard. Needless to say, things go wrong—very wrong. 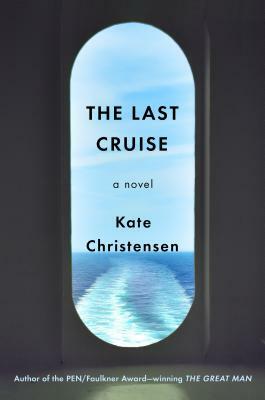 For your summer reading, this is about the worst cruise you can possibly take. And as someone who thinks that being stuck on a cruise ship for however many days is basically the worst way you can spend your life, this was candy to me. These people are on a cruise having a great time, and then all hell breaks loose. It’s a really, really fun book. Synopsis: A mesmerizing debut set in Colombia at the height Pablo Escobar's violent reign about a sheltered young girl and a teenage maid who strike an unlikely friendship that threatens to undo them both. This is the best book about Colombia that I’ve ever read. (This is the only book about Colombia that I’ve ever read.) It’s a story about family and loss and war and the struggles that the author actually lived through. It’s amazingly well-written. 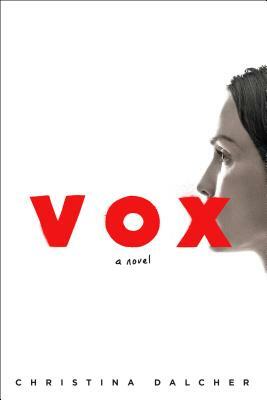 Synopsis: Set in a United States in which half the population has been silenced, Vox is the harrowing, unforgettable story of what one woman will do to protect herself and her daughter. 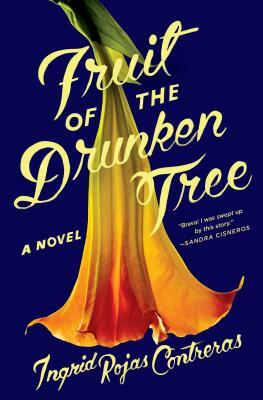 This is going to be the book, come fall, that everyone knows about. It’s set in a very near future, the country has taken a turn towards the conservative, and the powers that be have decided that the need to protect women from corruption. And the way they do that, in this book, is to limit the number of words women can speak in a day. Think of it as Margaret Atwood light. It’s a great book for a mother-daughter book club. 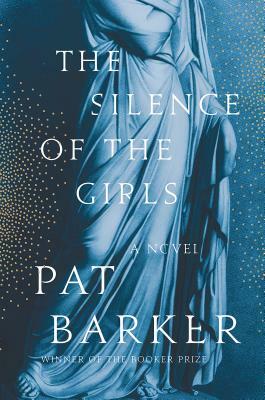 Synopsis: The ancient city of Troy has withstood a decade under siege of the powerful Greek army, who continue to wage bloody war over a stolen woman—Helen. In the Greek camp, another woman watches and waits for the war's outcome: Briseis. This is a retelling of The Iliad, told from the perspective of the women. This is live-action Greek mythology coming to life, with a slight feminist twist. It’s a fast read, and a great book for your book group. 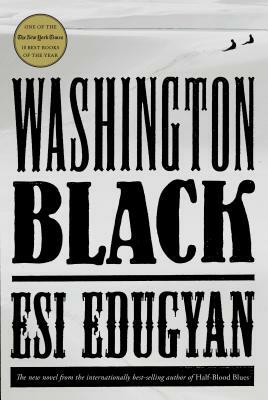 Synopsis: George Washington Black, or "Wash," an eleven-year-old field slave on a Barbados sugar plantation, is terrified to be chosen by his master's brother as his manservant. To his surprise, the eccentric Christopher Wilde turns out to be a naturalist, explorer, inventor, and abolitionist. 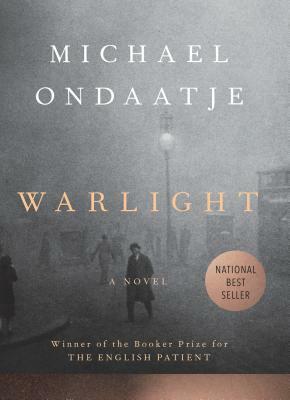 Soon Wash is initiated into a world where a flying machine can carry a man across the sky, where even a boy born in chains may embrace a life of dignity and meaning—and where two people, separated by an impossible divide, can begin to see each other as human. My favorite book coming out in the fall. What starts on an island in the Caribbean goes to the Arctic, and then to London and Morocco and becomes this odyssey of a former slave who doesn’t quite fit into the world. The writing is impeccable. Synopsis: On October 15, 1950, General Douglas MacArthur convinced President Harry Truman that the Communist forces of Kim Il-sung would be utterly defeated by Thanksgiving. The Chinese, he said with near certainty, would not intervene in the war. As he was speaking, 300,000 Red Chinese soldiers began secretly crossing the Manchurian border. 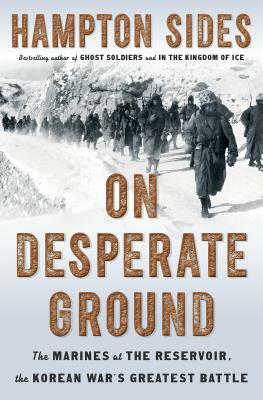 Led by some 20,000 men of the First Marine Division, the Americans moved toward the trap Mao had set for the vainglorious MacArthur along the frozen shores of the Chosin Reservoir. What followed was one of the most heroic—and harrowing—operations in American military history. This is perfect for the guys who like to read about war. It’s set during the Korean War. It’s the story of General MacArthur and soldiers who go into North Korea into this impossible situation, and then face a mad dash to live and survive this one-sided battle. Really, really strong nonfiction. 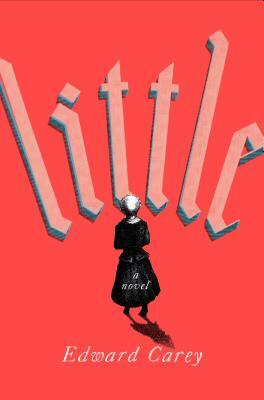 Synopsis: The wry, macabre, unforgettable tale of an ambitious orphan in Revolutionary Paris, befriended by royalty and radicals, who transforms herself into the legendary Madame Tussaud. It’s set in the French Revolution. There’s a little girl, and she and her mother attach themselves to this old man to help him out. He makes wax models for medical study. Then her mother dies, and the man takes the girl in and they move to Paris. There’s sort of a Forrest Gump thing, where the girl bumps into all these revolutionaries. Then at the end, she becomes Madame Tussaud. It’s just a really cool story. Synopsis: The devastating story of how fugitive slaves drove the nation to Civil War. This story illuminates what brought us to war with ourselves and the terrible legacies of slavery that are with us still. I’m going to give this to Liz’s dad for Christmas. 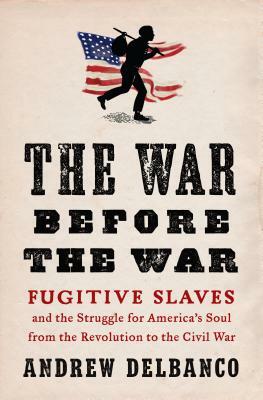 It’s a history of a very small, but important thing in American history: The fugitive slave laws. If this tells us anything about the present, it’s that sometimes a bad thing is a bad thing and we don’t need to compromise. Synopsis: The year is 1921, and "Nobody" Alice James is on a cross-country train, carrying a bullet wound and fleeing for her life following an illicit drug and liquor deal gone horribly wrong. Desperate to get as far away as possible from New York City and those who want her dead, she has her sights set on Oregon: a distant frontier that seems the end of the line. 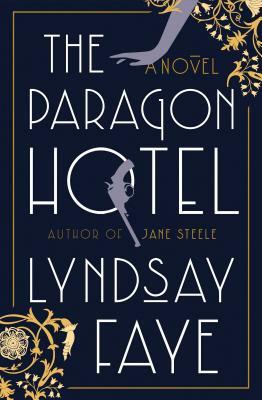 Lyndsay Faye lives in a lot of different genres. It’s super fast and well-plotted, like a mystery, but the writing is like a Pulitzer Prize-winner. It’s a beautiful book. Synopsis: A grand estate, terrible secrets, and a young woman who bears witness to it all. 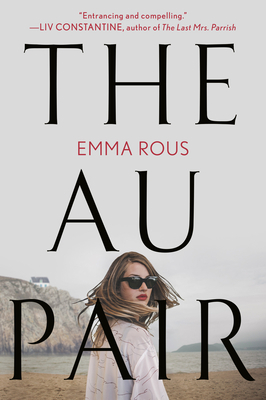 If V. C. Andrews and Kate Morton had a literary love child, Emma Rous' The Au Pair would be it. The publishing world has decided that January 8 is the best time to publish. People are done with the holidays, done with the year, and they want to go find something dark, twisted, and a little naughty. That’s The Au Pair by Emma Rous. Last year, it was The Perfect Nanny. Synopsis: A woman goes over a waterfall, a video goes viral, a family goes into meltdown—life is about to get a lot more complicated for the Parker family. Think Jonathan Tropper as a comp. The story begins with a grandmother who decides to go over a waterfall in a barrel. She lives, but then she immediately goes into a coma, so the whole family converges… what you get is the most beautifully dysfunctional family. I don’t get to sell fun books very often; this is just straight-up fun. It’s delightful.